Upon entering the turnstiles on Saturday, I couldn’t help but feel a tad nostalgic. It was the first time I’d been in the Quarry Lane End since that epic last day in the Conference in 2013 - Matt Green’s penalty, a drunken conga, and Muzza lifting the trophy being my favourite hazy memories of that fateful 90 minutes that delivered us back to the Promised Land. Memories came flooding back of an Adam Chapman screamer, thrashings of Barrow, and our plucky, unlucky boys giving Liverpool a right old game. Everyone who stuck by with the team through those times, especially those who turned the QLE into a cauldron of noise in later Conference years, deserved their share of the credit when it came to winning promotion that year. It was ‘job done’ all round. 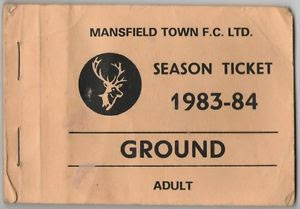 A new era in the Football League beckoned, and for me that meant a return to the West Stand to take my place, as I had done, since I was 8 years old. But fast forward to this summer and that all changed with the announcement of the QLE membership scheme. Now I understand that one or two season ticket holders were a bit miffed by the lack of an early bird scheme. I do perhaps think the club may have scored an own goal here (VAR needed for conclusive proof) and indeed it was partly due to the club taking this decision that I opted for the QLE membership rather than a season ticket for myself and my long suffering better half. Were there 'early birds' back then? However, you can’t argue that it is not fantastic value for money. What it has also seemingly brought about is a return of an atmosphere around the ground rarely seen since Greeny smashed home that penalty over 5 years ago. With kick off fast approaching, the atmosphere was brilliant. Maybe not 'electric', but still really good - we were playing the mighty Newport after all. It stayed that way for the majority of the 90 minutes. It seems a good portion of the ‘older’ members of Q-Block have made their way over to the QLE to not only take advantage of the £10 tickets, but to create a whole new 'singing section'. The atmosphere generated seemed to really compliment the noise made by the Q-Block youngsters in the far top corner of the West Stand. And whilst there was some superb noise generated by Q-Block in the previous two seasons, it rarely went around the ground like it did last Saturday. I’ve always felt that it is important that the majority of the singers and loudmouths at football matches congregate behind the goal. There's a tired cliché of ‘sucking the ball into the net’, but it’s still doing the rounds after all these years so there may well be something to it. Take Liverpool, for example (twice I've mentioned them now. 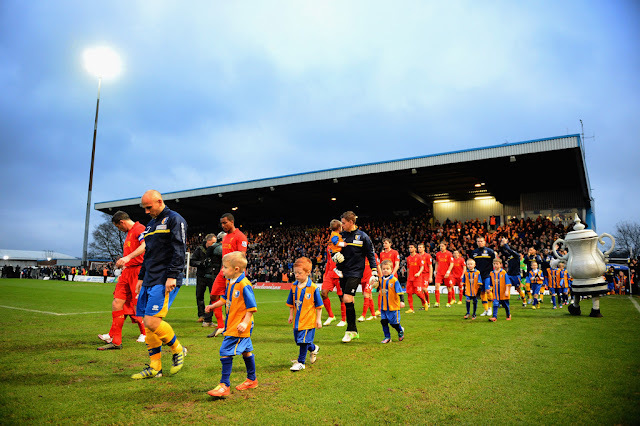 I feel dirty...) – would the atmosphere at Anfield be the same if the Kop was along the side of the pitch? 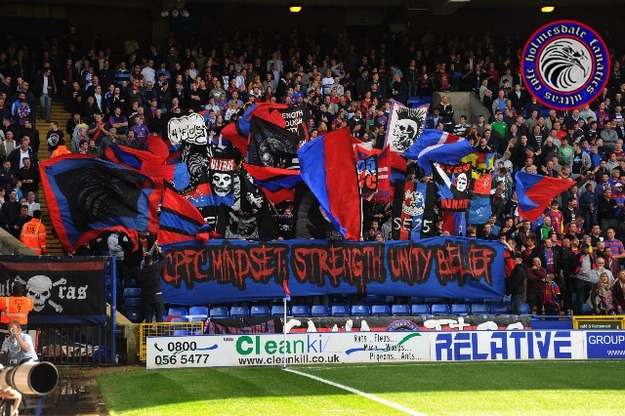 It works at Crystal Palace because their atmosphere makers are behind the goal. Look at all of the ‘ultra’ elements across European football. There’s a common factor… they all stand behind the goal. It would appear the players appreciated it also – they usually clap the West Stand first after a win (with it being closer, I’d imagine! ), but last Saturday most of them came straight across to the QLE. It must have been a refreshing change to have the sound from the crowd carry to them ‘in stereo’. We scored two goals at that end too – no doubt coincidence, but a little bit of me wants to claim them for myself and the other loud and proud folk who no doubt woke up with sore throats on Sunday morning. It has brought about a debate on social media along the lines of ‘QLE or Q Block?’ and ‘which one is better/louder?’ etc. I think the fact that these debates are even happening is testament to the atmosphere generated behind the goal last Saturday. Of course, it really doesn’t matter. What’s significant is that the team is benefitting from an improved atmosphere, and the overall match day experience - no matter where you are in the ground - is improved. If, between us all, we can turn Field Mill into the cauldron of noise we had during our final season in the Conference, maybe we can help make it 'job done' again this season as we did then. 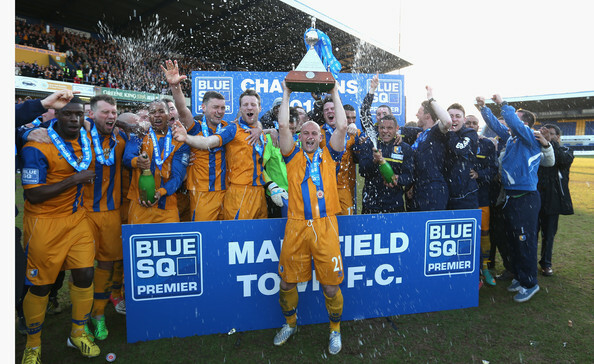 Similar scenes in May this season? 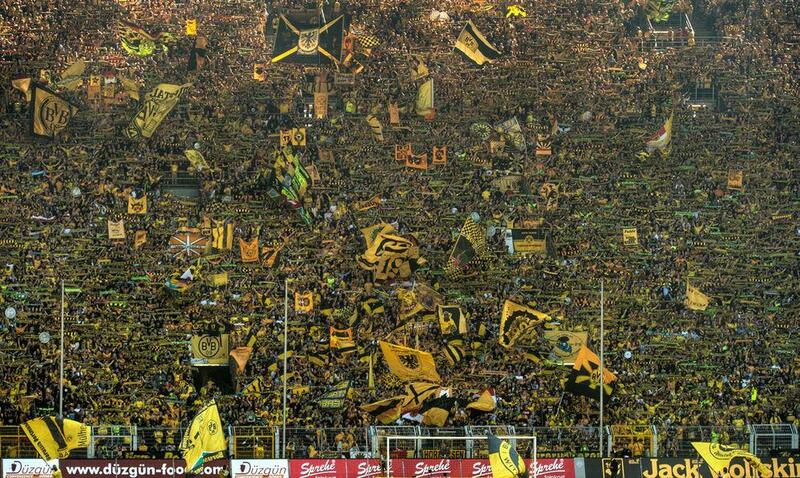 The QLE is never going to be the ‘Yellow Wall’ at Dortmund. 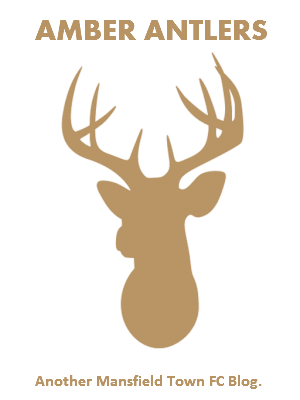 But it can certainly make an impact, improve the atmosphere… maybe even influence games in our favour. 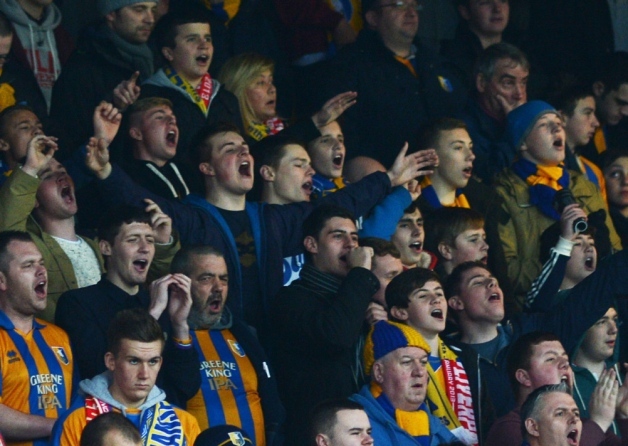 If you are likeminded, loud and proud, why not come and join the fun behind the goal? Hopefully this is just the beginning of something special. You might even like it! …until we get the North Stand back, of course. P.S. Speaking of Otis Khan, did you know he'd been on Ninja Warrior?